This Mountain First Aid Kit is a well stocked kit that stows easily in your backpack or car to provide peace of mind with your travels. Includes 88 items in a deluxe carry case. In this day and age of uncertainty, where storms are becoming more violent, the gap between haves and have nots, and the threat of, and actual civil/political unrest are ever increasing...you have GOT to be prepared for ANYTHING. After going through Superstorm Sandy, not having power for just 5 days, and seeing how much of a problem that caused in numerous places, you just never know what's going to happen! People were hurt, knocked unconscious, severely bruised, cut, scraped and multiple other injuries because of that storm. And that's just a STORM we're speaking of! Flooding was EVERY where! People trapped in their homes, and we were living 'Katrina-Like' conditions throughout NYC and Long Island. 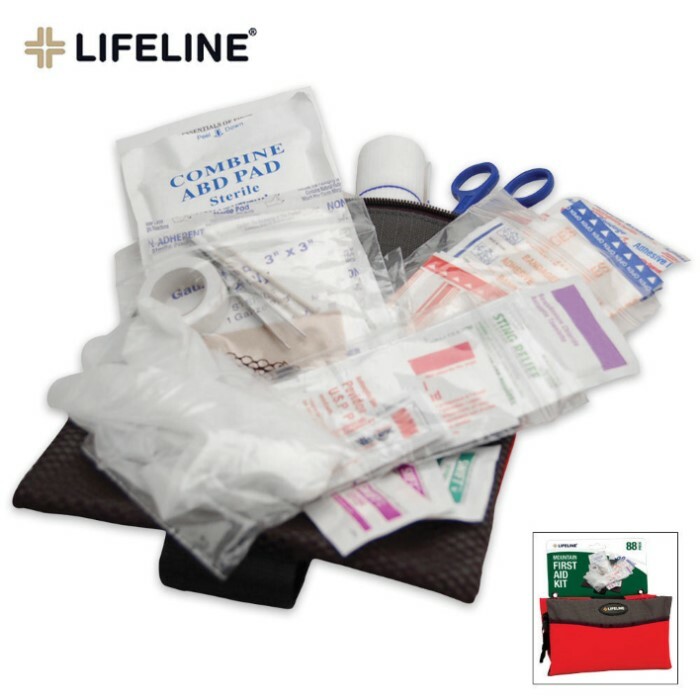 Having a first-aid kit is not only intelligent, but if you can't GET to a medical facility or the ambulance can't GET to you, you have to 'hold down the fort' if you will, UNTIL that help arrives, and THIS is the type of product that can help to give you a peace of mind, which is why I purchased TWO of them! Thank you Bud K for making these things available to us at a reasonable price, that can help those of us on a tight budget, be better prepared for an uncertain future!